You’ll find great shelving offers on a range of storage solutions, plus longspan shelving systems, all of which are suitable for residential, commercial and industrial use. 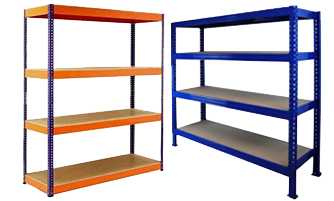 Discounted shelving for households, offices, workshops, warehouses, retailers and more is available in different configurations, sizes, weight capacities, colours, and finishes to suit your specific storage needs. Purchase five, ten or twenty of any of these shelving systems for a reduced price per unit, plus free delivery.